Immigration and Customs Enforcement agents arrested hundreds of convicted criminals living in the U.S. illegally in Southern California . ICE agents launched the four-day roundup of immigrants wanted for deportation last week, the agency announced on Monday. The arrested netting convicts and wanted individuals from 21 countries. ICE Field Office Director for Enforcement and Removal Operations David Jennings said in a statement that the sting was part of the Obama administration’s efforts to focus on potentially dangerous individuals rather than going after every-day immigrants that are in the country illegally but don’t pose a public safety risk. 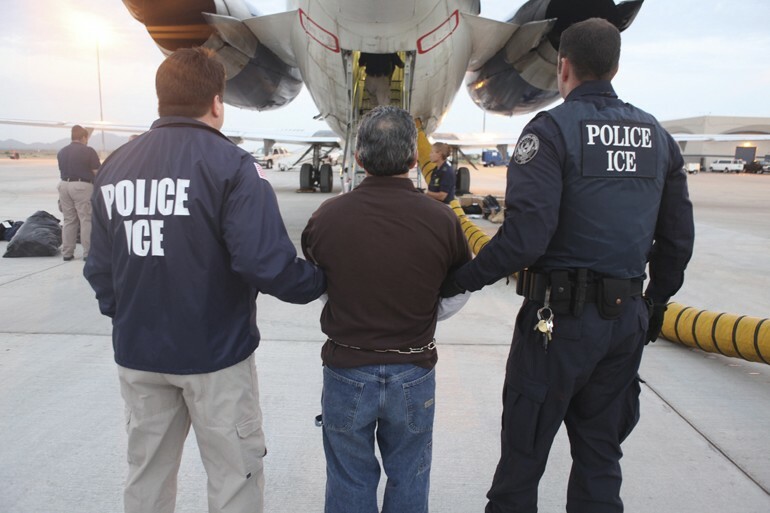 ICE officials say that only the more serious criminals were arrested, including those convicted of felonies (Level 1 offenders) or three or more “significant misdemeanors,” (Level 2) which include domestic violence, sexual abuse, sexual, burglary, firearms violations, drug dealing, drunk driving, or any offence that results in a jail sentence of more than 90 days. Fifty-seven percent of the those arrested were Level 1 offenders, while the remaining 43 percent were Level 2 offenders, according to an ICE spokesperson. Some of the arrestees are non-violent offenders who have not been deported before. They are will be able to challenge their deportations, according to the L.A. Times . The agency cited four cases of men from Mexico, Guatemala and El Salvador who had reentered the U.S. illegally after being deported following sexual abuse convictions. While the vast majority of the immigrants detained were from Mexico (191), a sizeable chunk were from Central American countries (32) and other countries (21). Below, we’ve listed the numbers of criminals arrested in the sweep.